My relationship with my eyelashes is nonexistent, mostly because my eyelashes themselves are more or less nonexistent. They’re so stubby that it’s hard to even curl them — good chance that I’m not doing it right, but how hard can it be? — so I’ve only worn mascara probably five times in my entire life. Don’t even get me started on how hard it is to clean that stuff off even with makeup remover; how do you get rid of it all?! I was still finding clumps three days after wearing mascara the first time. I still have the second and last tube of mascara I owned in high school, the L’oreal Paris Double Extend, which I bought primarily because the formula on one side was white, and I wanted to wear white mascara because I’m edgy like that. I’ve read that you shouldn’t keep liquid makeup for more than a year because that stuff does expire (or at least foster bacteria that you shouldn’t put in your eyeball), so I don’t know why I’ve held onto it except for the nonexistent chance that I might want to try applying it again. 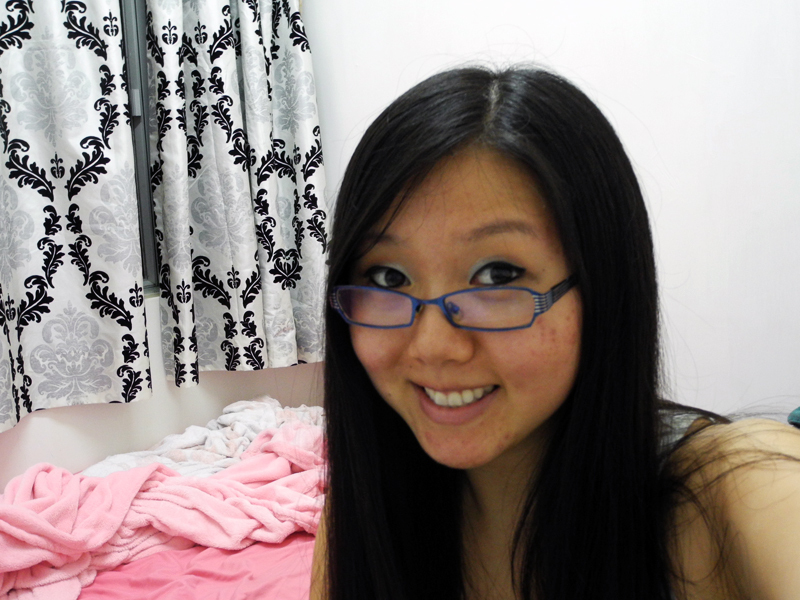 The situation isn’t helped by the fact that I wear glasses, which further obscure my lilliputian eyelashes. Not only are they short, but they also stick straight down without the slightest hint of a seductive curl. I’m not happy with my lashes, though not for beauty-related reasons. Yes, eyelashes do hold an inexplicable bewitching power. I recall various instances when I’m sitting on the bus or in class and I notice that a guy in my line of vision has the most beguiling long set of eyelashes, and I just stare, enchanted, as he blinks unsuspectingly. I usually find guys’ long eyelashes more captivating because they’re so fluffy and not laden with makeup and such. I’ve given quite a bit of thought to why long eyelashes are considered attractive, and I can’t figure it out. Anyhow, I resent my own eyelashes because they perform their job inadequately. Yes, lest we forget, most of our body parts do serve a purpose, and eyelashes are meant to keep debris out of our eyes. Just look at camels’ eyelashes! So lush! Mine, on the other hand, do a paltry job of protecting my eyes. I mean, I shouldn’t have a problem with things being blown into my eyeballs — I have small eyes and I’ve worn glasses since the age of 8. Yet! My vision is often incapacitated by a strong breeze, especially when I’m in dusty urban areas like Hong Kong. Darn these worthless eyelashes! 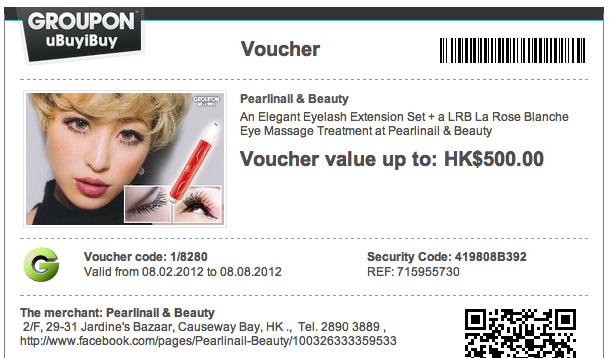 With that kind of life experience, it was only natural for me to buy a Groupon in HK for a set of semi-permanent eyelash extensions. They cost $40-100 in the US, but the Groupon was only $13. Sweet! I wanted them mostly out of curiosity. Honestly, I don’t think I look much better with long eyelashes — the fake ones I’ve used in the past didn’t look that good on me, though once again, it’s possibly due to poor application from lack of experience. And I didn’t actually think that lash extensions would protect my eyes from dirt specks in the wind. But I wanted to see what it was like to have long eyelashes for just a few weeks, because I thought the experience might just be that different. Though I bought the Groupon in February, I scheduled my appointment for the end of May, after my internship ended, in case they impaired my ability to read or function properly at work (who knows??). I went in on a Friday afternoon, and though I had made my appointment three weeks in advance, they didn’t have enough chairs open in the tiny salon. I took a seat at the counter and watched Transformers 2 on the plasma TV while waiting for an opening. Fortunately, the person in charge was a nice lady who spoke English and had a very soothing demeanor (also, I’m kind of a pushover), so when she came by to ask me if it was okay to do the included eye massage in the waiting area instead of at a proper chair, I obliged. Besides, I had to meet a friend afterward, so I wanted to get out of there as soon as I could. She grabbed some large pillows to cushion my head and neck as I leaned back in the chair. The massage was nice, though I’m not sure what good eye massages really do — can you really smooth out my miniscule wrinkles? She came back about 10 minutes later, apologetic. “I’m afraid there won’t be an opening for another half an hour,” she said. “Is it okay to do the eyelash application here as well?” I didn’t have half an hour to waste (Transformers 2 isn’t THAT riveting), so I sighed and said OK.
Another girl came by to determine which type of extensions I wanted. She had dozens of packs of them and first showed me the plastic kind, which looked like the plastic grass that teachers use to border their bulletin boards. Scary. I mean, I wanted fake lashes, but I didn’t want to look like I was dressing up for Halloween every day. The “human hair” ones cost an extra 100HKD, she told me, so I sprung for those. 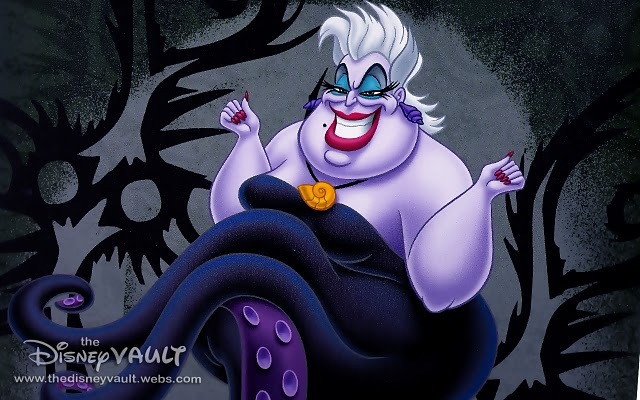 An extra $13 not to look like Ursula? I’ll take it. As for the material, I’m pretty sure they were still plastic, because they certainly felt like it. Can you get real human hair to stay firm and curled like that?? I’ve heard of celebrities using mink eyelash extensions, and it simply boggles the mind. The first lady pulled up another chair to prop up my legs, and I tried to relax despite the increasing strain on my neck. All I had to do was close my eyes for an hour and a half. The process wasn’t exactly pleasant. As the stylist (lash technician?) slipped each individual fake lash slightly under the fold of my eye to affix it to one of my own lashes, it stung lightly. Eventually the stinging accumulated, and it felt like when it’s 6AM and I’m trying to finish a paper and the only thing keeping my eyes open is desperation because I’ve already finished my case of sugarfree Red Bull. Still, I managed to fall asleep at some point, and after I came to, a different person was working on my eyes. What the heck? She showed me my first eye after it was finished, and I was feeling kind of bleary and restless from lying on two chairs like a homeless college student in the library, so I okayed it and she moved on to the next eye. Ultimately, the results were pretty satisfactory, though I seriously couldn’t imagine going through that kind of maintenance every month. My natural eyelashes. When I open my eyes, they magically disappear! Obviously, I don’t know what exact process they used, so I can’t reveal much about that. In fact, I didn’t really do any research before going in for my appointment. Apparently you’re not supposed to get lash extensions wet during the first 24 hours. Oops. I definitely took a shower that night and made the mistake of splattering water all over my eyes, which burned like hell. Flabbergasted, I realized (belatedly) that I wouldn’t be able to wash my face properly for a month, and I had to figure out how to clean my mug like a lady and not a savage. As I mentioned earlier, I had to meet a friend after my appointment, so I rushed home to reapply my makeup and head out. In addition to relearning how to wash my face, I had to apply my makeup differently. The eyelash extensions were so long that they got in the way of my liquid eyeliner brush, so my first hurried attempt to apply makeup was a disaster, but I left it anyway since it was already dark outside. LOL. Although my eyelashes had more than doubled in length, they still weren’t very noticeable in real life or in pictures. Very few people got close enough to notice. Do you see them? DO YOU?? I wondered if I should’ve gone with the superfake ones. All or nothing, right? Anyhow, instead of improving my life, the extensions only seemed to make it harder. I also had to switch makeup removers, because oil-based ones (which I usually use) loosen the glue of the extensions. Getting any water on my eyes was like getting Herbal Essences shampoo in my eyeball — that stuff hurts. And I, a prolific morning eye-rubber, could no longer molest the delicate skin of my eye area, which I suppose is a good thing. Because extensions are attached to your natural lashes, they fall out one per day just like your natural lashes. I tried pulling at a couple of twisted ones to see if I could get them off manually, but that only brought pain. Would not recommend. Initially, they could be distracting because I was often aware that my eyelids were heavier than usual. I think, too, that because my natural eyelashes point downward, the extensions had to compensate for that by dipping downward before curving back up, which meant they kind of dipped into my field of vision. Three weeks later, there are only two or three remaining lashes left. How would I summarize the experience? In one word: inconvenient. Though I’m the kind of person who refuses to go out without wearing makeup, it appears that I am still too low-maintenance for this kind of beauty accessory. It was interesting, but I wouldn’t do this again. Not even for free. The knowledge that I possessed long, curly lashes did make me feel more glamorous, but these are probably only a necessity to someone who is already addicted to lengthening her eyelashes. I keep products for over a year. I think they also say 12 months to make you buy their products more frequently. If your eyelashes are clean in the morning and you use mascara, there shouldn’t be much bacteria.. And there are no nutrients in mascara, so I dont see what the bacteria is feeding off of. HAH fluffy. Yes i always notice when a guy has nice eyelashes. I like them. They look like my natural lashes with mascara on. The effect is very evident. You are currently reading Eye-Hairs at auradis.